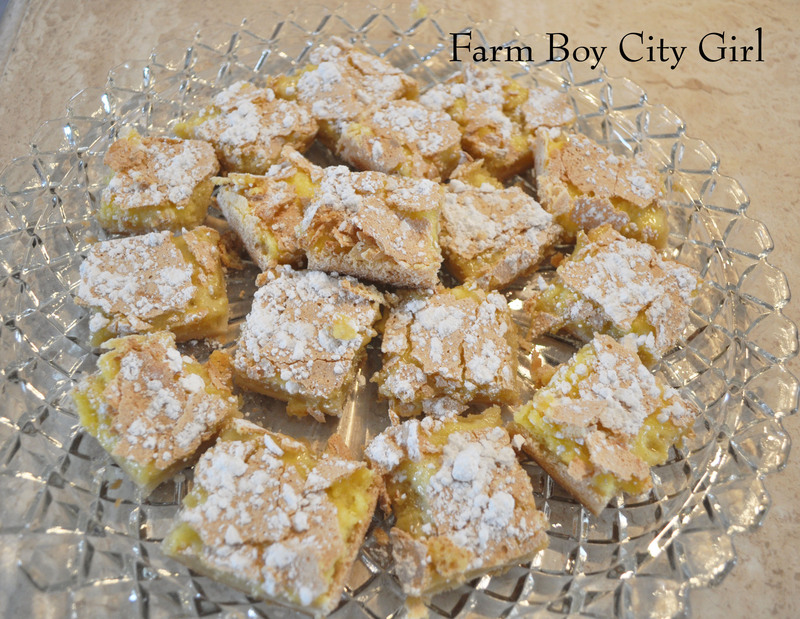 I found this lemon bar recipe in one of our old church cook books. When I say old I mean from when we were kids so kind of old. These taste like a crumbly sugar cookie with a light lemon top. It’s not over the top lemony which is what I like. Mix the crust ingredients and pat into a greased 9 x 13 pan. Bake at 350 degrees for 20 minutes. While the crust is baking, mix the filling. First beat the eggs with the sugar and then combine with the other ingredients. Pour over the baked crust. Bake another 25 minutes at 350 degrees. Cool and cut into bars. Mrs. Kellander says “very delicious” but I have to say they are more than that! 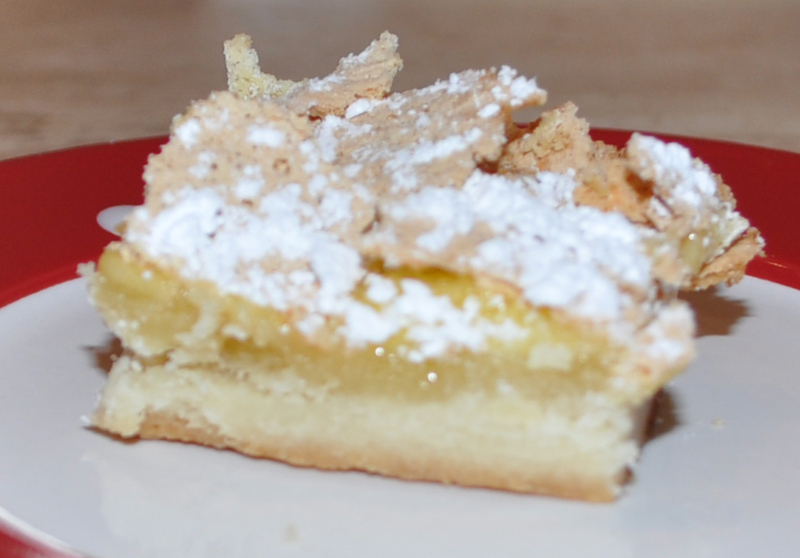 This entry was posted in Food and tagged Bake, Baking, Dessert bar, dessert Ideas, Lemon, Lemon Bars, Summer dessert, The best lemon bars. Bookmark the permalink.